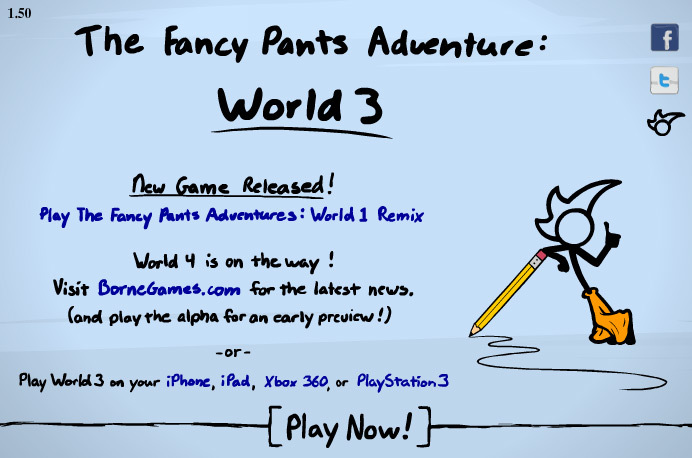 Fancy Pants is back for more exciting adventures in this third version of the game, now unblocked to allow players to enjoy the game while at school, work, or at any computer. 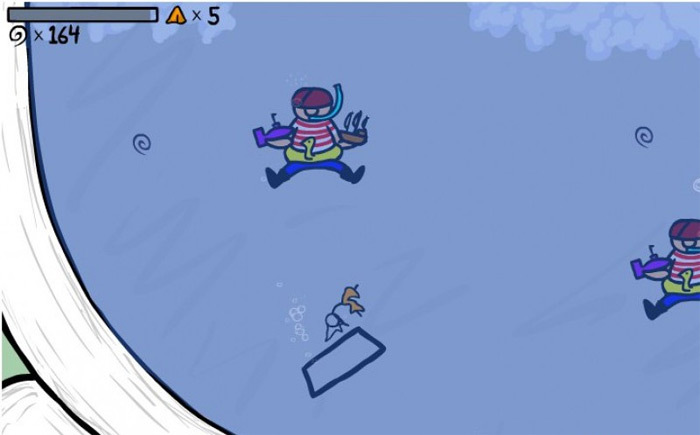 In Fancy Pants 3 Unblocked, you must guide our little spikey-haired hero down dangerous paths to defeat deadly pirates that have stolen precious items from your country’s King. Advance through each level and unlock amazing prizes and trophies to win the day and defeat the evil pirates. 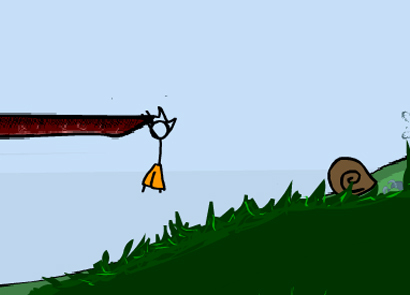 You begin the game with a few options available. Beginners should start in the Training Room, where the General can teach you all of the basic player controls, primary objectives, as well as a few tricks to help you successfully beat the pirates and return the stolen loot to your King. Once you’ve completed all of the necessary training, you can begin your journey down the dark and dangerous road, tracking the mischievous pirates and reclaiming the stolen goods. As you will learn throughout the training courses, the default control settings are similar to those from the previous versions of the game. 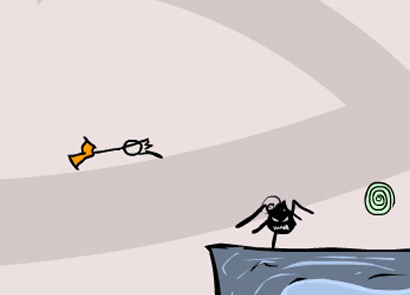 Use your arrow keys to direct Fancy Pants in the direction you want him to go on the map, as well as to make him open doors and duck out of harm’s way. 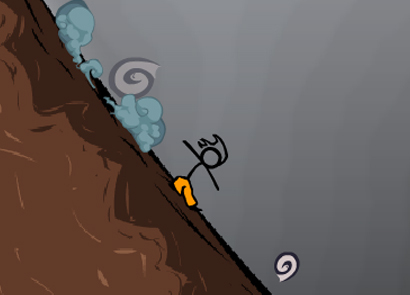 Press the S key to force Fancy Pants to jump over rolling obstacles or climb to higher elevations, and the A key to make him attack the enemy pirates. Additionally, you can press the M button to mute the in-game music and sound effects, and the spacebar to toggle the pause settings. 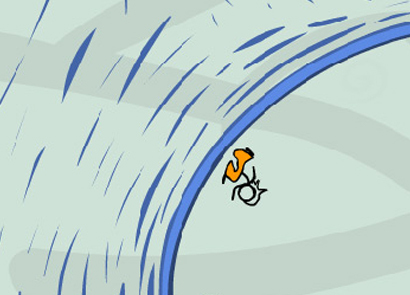 Some players, more specifically those of the younger audience, may find Fancy Pants 3 to be a bit too difficult for them to complete. This is why we would like to share a few cheat tricks to help you throughout your adventure. Fancy Pants 3 Unblocked is a fun and exciting, action-packed adventure game that can be enjoyed by children and adults of all ages. Now that the game is unblocked, children can have access to the game while in school at their school’s library and adults can play while in their office at work. 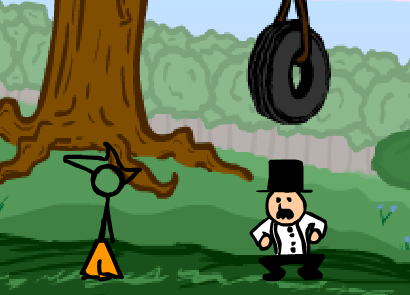 Enjoy Fancy Pants 3 Unblocked for hours of fun and entertainment, then be sure to share it with your friends!